With the 2018 NATO summit just weeks away, American policymakers are seeking ways to strengthen ties to good friends and allies while giving the U.S. some solid wins. Expanding the Visa Waiver Program is a great way to do that. The Visa Waiver Program is a win-win-win scenario in diplomacy, security, and trade. Citizens of program member countries can travel to American shores through a streamlined—yet equally secure—vetting process, bypassing the hassle of going to a U.S. consulate and getting a visa interview. Easier travel means increased trade, business, and public diplomacy benefits. In return for streamlined travel, America gets those countries’ intelligence on criminals, known or suspected terrorists, and lost or stolen passports, as well as guarantees of increased security in member countries’ airports. This intelligence radically improves American vetting systems for U.S.-bound visitors and immigrants, better securing the homeland. 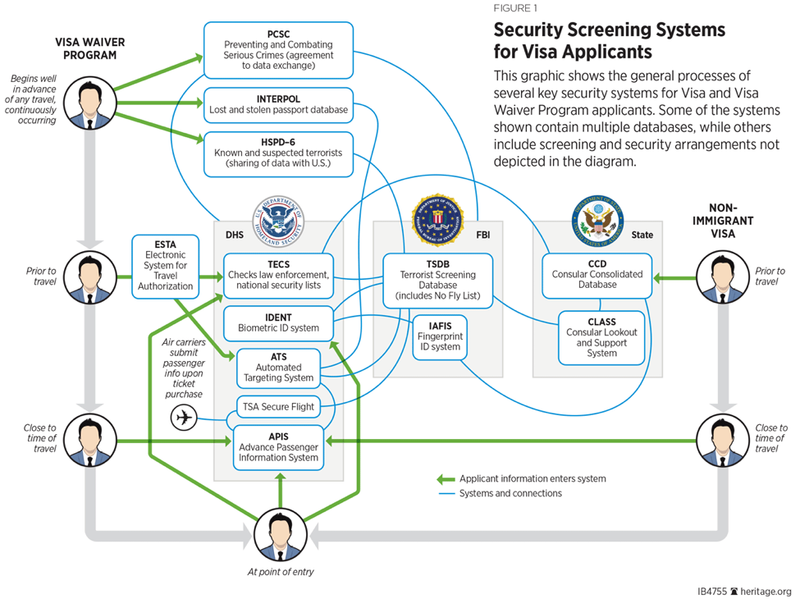 U.S. vetting systems currently run biometric and biographic information through a number of databases before giving the green light to visitors and immigrants. But the databases are only as good as the intelligence in them. Robust information sharing with Visa Waiver Program member countries helps the U.S. flag more criminals and terrorists. Just between 2008-2015, the FBI reported near 3,500 previously-unidentified terrorists were identified as a result of the program. As a result, policymakers should reform and expand the Visa Waiver Program. Criteria for joining currently include issuing citizens machine-readable biometric e-passports, presenting no discernable threat to the U.S., and visa refusal rates (the number of visas denied by the U.S. State Department for a given country) under 3 percent. However, this visa refusal rate metric is problematic and flawed. Countries like NATO allies Poland and Croatia cannot join because of their refusal rates (near 5 percent each), despite the fact that countries admitted in 2008 had rates up to 10 percent. If policymakers are really concerned about immigration overstays, then they should move the Visa Waiver Program toward the more objective visa overstay rate and lift the refusal rate back to 10 percent. Trustworthy allies like Poland and Croatia have relatively low visa overstay rates and reworking the metric would allow them to join the program. For countries that fall short of the criteria for joining the Visa Waiver Program but demonstrate good faith by sharing intelligence, there are currently no rewards or incentives. That’s a missed opportunity for the U.S. Policymakers should add membership tiers to the program to encourage information sharing with other benefits such as more consular resources or expedited visa processing. This expansion would improve U.S. security and reward those countries that share information with us, but can’t yet join the full waiver program. Policymakers should also consider renaming the Visa Waiver Program the “Partnership for Secure Travel.” Renaming it would get rid of the false idea that the program just throws out the vetting process. Instead, it would clarify what the program actually does—streamline international travel, secure the American homeland, improve trade, and strengthen strategic partnerships.